The Dakota Territory chapter covers North Dakota and South Dakota. 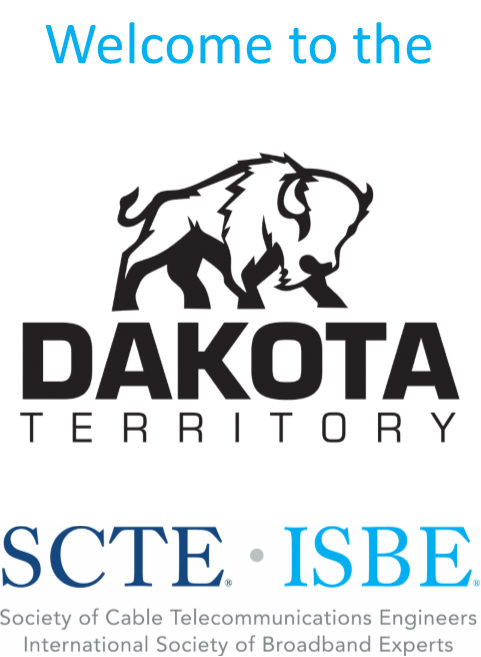 Visit the National SCTE Web site by clicking here! Also take a moment to visit the other 2 chapters within SCTE region 6. SCTE is the premiere source of Knowledge in the cable telecommunications industry. Our members harness the transforming power of knowledge through professional certifications, professional development and technical standards. Here's more information on the benefits of SCTE Certification. Watch for updates on future seminars!